The number of uses for barcodes has grown significantly over the years. Utilizing this innovative technology can increase productivity and improve on efficiencies throughout your organization. From cell phones to printable labels, OzNet Systems can handle the majority of your bar coding needs. Barcoding technology can be used for managing and tracking your documents and integrated in a business process workflow design. Easy tracking, retrieval and management of your files, inventory and products are just some of the ways in which organizations are taking advantage of the capabilities of barcoding.OzNet Systems has a partnership with a company that is just beginning to bring new and exciting “mobile” uses for barcodes to the United States. Imagine being able to avoid long lines at the box office, redeeming virtual coupons or purchasing products online as well as from your mobile device. 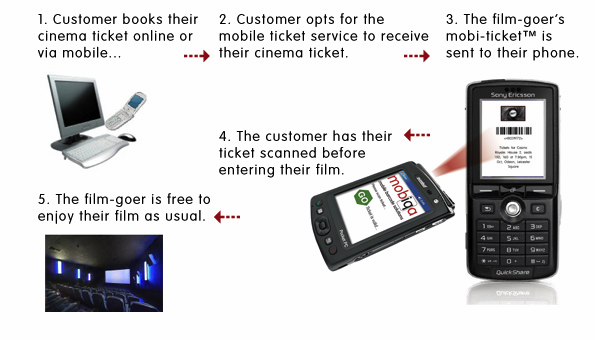 This technology will revolutionize the way your customers purchase airline tickets, ride the train and go to the cinema. The capability is here and available to those companies who want to provide an innovative way of doing business and interacting with their customers. Contact us to learn more about this exciting new mobile technology.